With around 50,000 employees in 66 countries worldwide, Merck is in the process of digital transformation to enter the digital age. Digitisation requires the competent handling of new media and technical possibilities by employees, which leads to a substantial need for training. How to impart practice-relevant and applicable knowledge synchronously – and even worldwide? The Merck Group was looking for an internal solution to transfer knowledge in online marketing and to strengthen the competence development and competitiveness of the Merck Group in the digital age. In addition to professional knowledge, the training concept must also guarantee a hands-on experience. 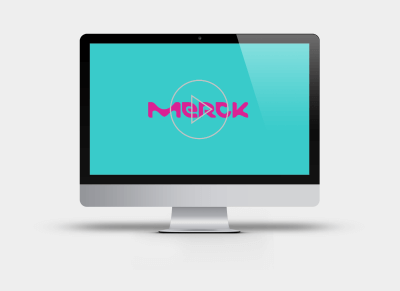 As part of the Merck Group’s digitization strategy, a communication strategy was developed to introduce Merck employees to the topics of online marketing with the power of video storytelling. Video-based learning makes it possible to communicate knowledge in a simple and understandable way – in contrast to text-based training materials! As a globally operating company, it was important for us to create a solution for the Merck Group that allows for flexibility in terms of space, time and content. A specially created e-learning portal enables employees to access knowledge at any time – globally transportable and scalable. How can e-learning content be designed dramaturgically in such a way that the viewer’s interest does not diminish and the users immediately try out what they have learned? The core aspect of the video production was the selection of suitable content and its target-oriented preparation. It was important for the content to be geared to the individual learning objectives of Merck Group employees. Wording & Form were decisive for success. Each video reflects the special requirements of pharmaceutical marketing in compliance with the German pharmaceutical-advertising law – advertising for prescription drugs, monitoring obligations and healthcare marketing in the B2C and B2B sectors. A professionally designed learning platform enables employees to access the videos anytime and anywhere. Whether smartphone, tablet or PC – we support the self-directed, independent training within the Merck Group. The company produced 96 videos in German, English, Spanish and French – to facilitate worldwide use of the videos. Each video is between 3 and 4 minutes long. A total of 12 thematic areas building on each other were covered – from introductions to the topics SEO, SEM and online marketing to specific content such asearned and Owned Media, Branding, Social Listening, Influencer Marketing and Social Media Ads.